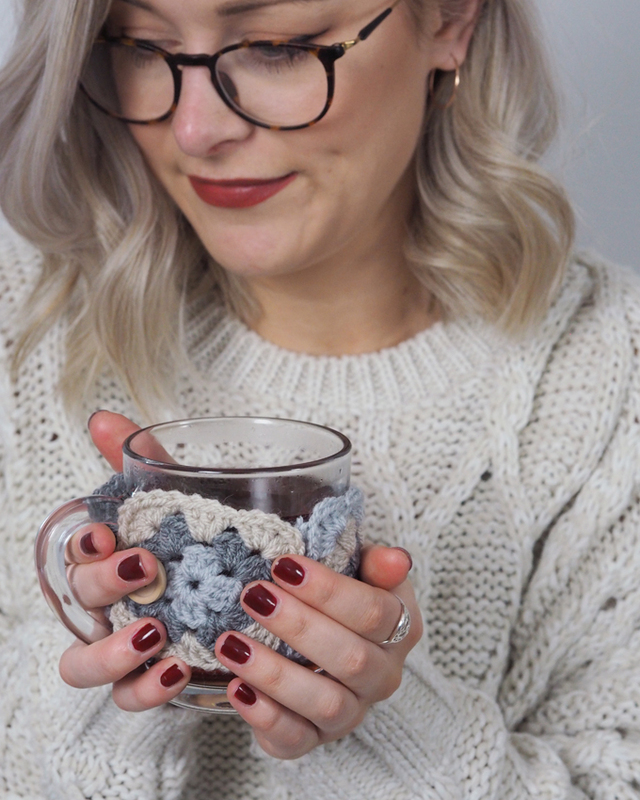 So for day 6 of my #MadeUpFestive Challenge, I thought I’d show you a really quick and easy crochet project you can whip up tonight! HINT: I’m using UK crocheting terms. This pattern is essentially four small granny squares sewn together. 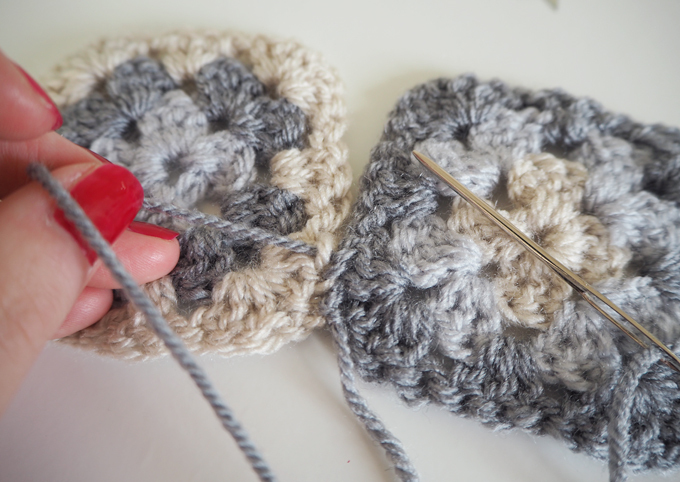 I LOVE crocheting granny squares! 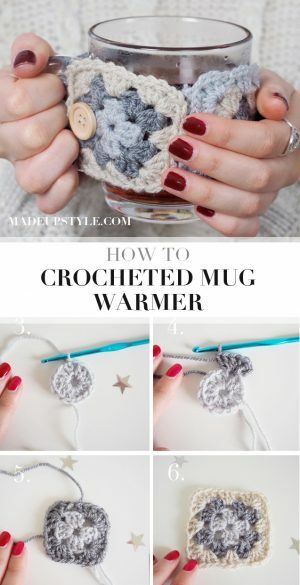 They’re really fun to make and a great way to practice your crochet skills. 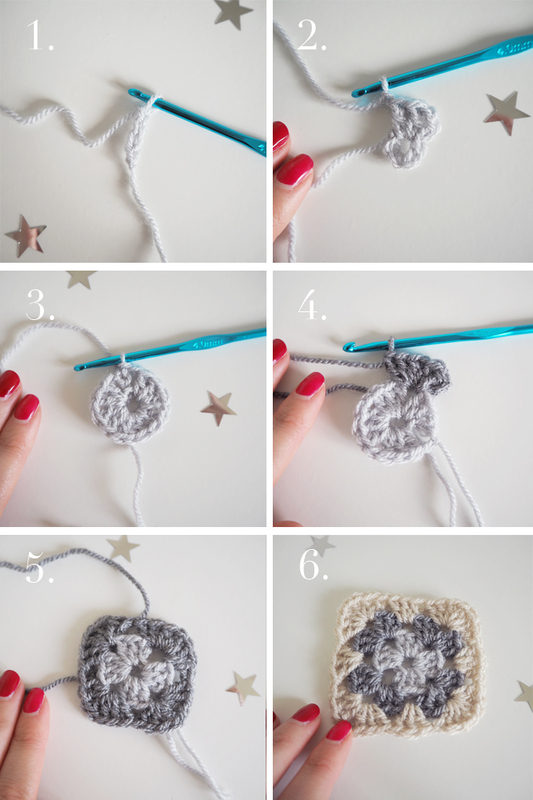 Each row of the granny square can be made in a different colour, so pick your favourite three and get crocheting. Start by creating a slip knot in the first colour of yarn. 1. Chain 4. Slip stitch into the first stitch to create a loop. 2. Chain 4. This acts as your first treble crochet. Make 2 more treble crochets into the center of the loop. 3. *Chain 1, treble 3. Repeat from * twice more. You should be left with four clusters of trebles in the loop. 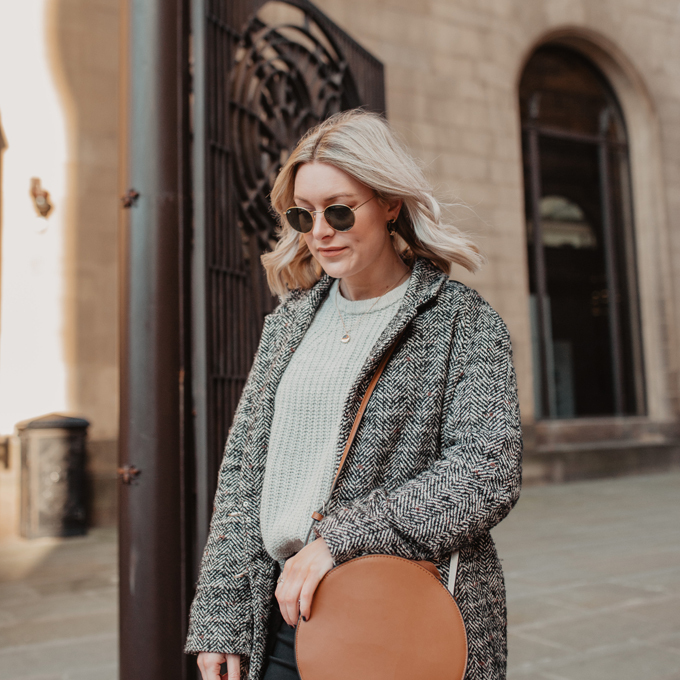 Slip stitch into the first treble to close the circle. Tie off this yearn colour. 4. Swap colours and create a slip knot in the next colour. Connect it through any chain one gap. Chain 3, then crochet 2 more trebles into the same chain space. Chain 1, treble 3 into the same space. 5. *Treble 3, chain 1, treble 3 into the next chain space from the colour below. Repeat from * twice more. Slip stitch into the top of the first treble and tie off yarn. This is the second round finished. 6. Change colour. 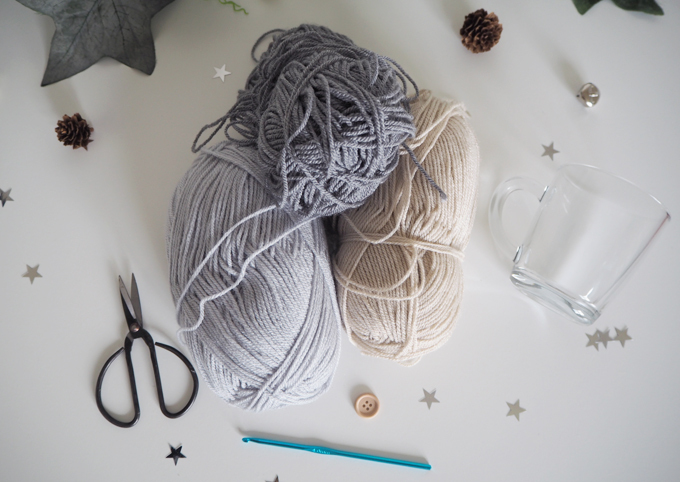 Create a slip knot and connect the yarn to any corner space from in the colour below. Chain 3, treble 2, chain 1, treble 3 into the same corner space. *Treble 3 into the next space. Treble 3 into the next corner space, chain 1, treble 3 into the same space. Repeat from * twice. Treble 3 into the next space. Slip stitch into the first treble and finish off. This is your third round complete. 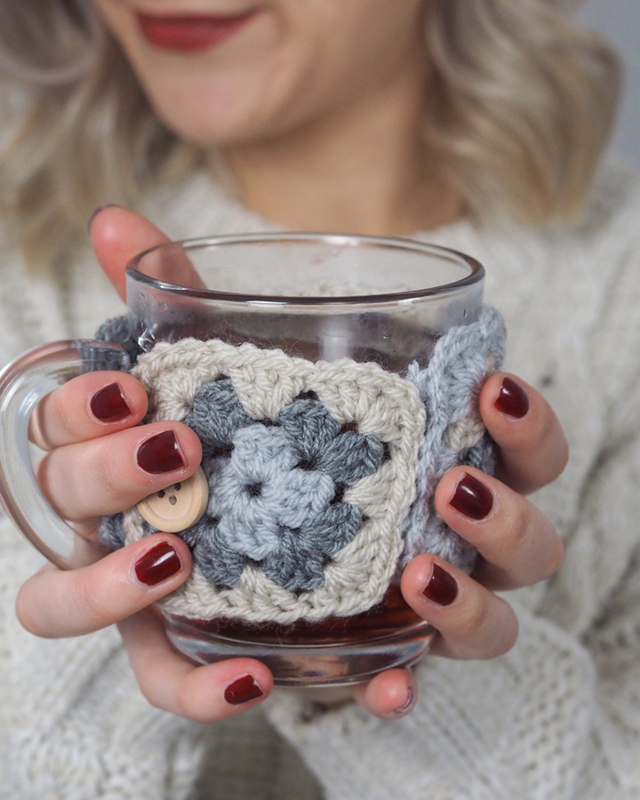 Create 3 more granny square following this pattern, to create your crocheted mug warmer. To finish off weave in any threads using a chunky sewing up needle. 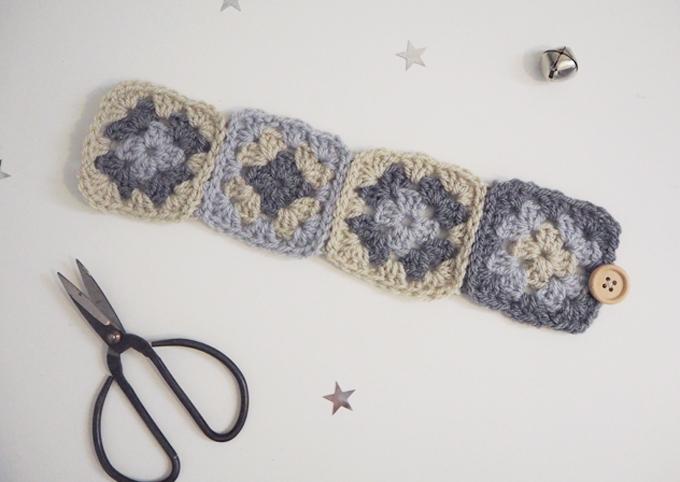 Connect your granny squares together, by turning each square over and sewing two sides together using a length of yarn. Do this until all for squares are connected in a row. 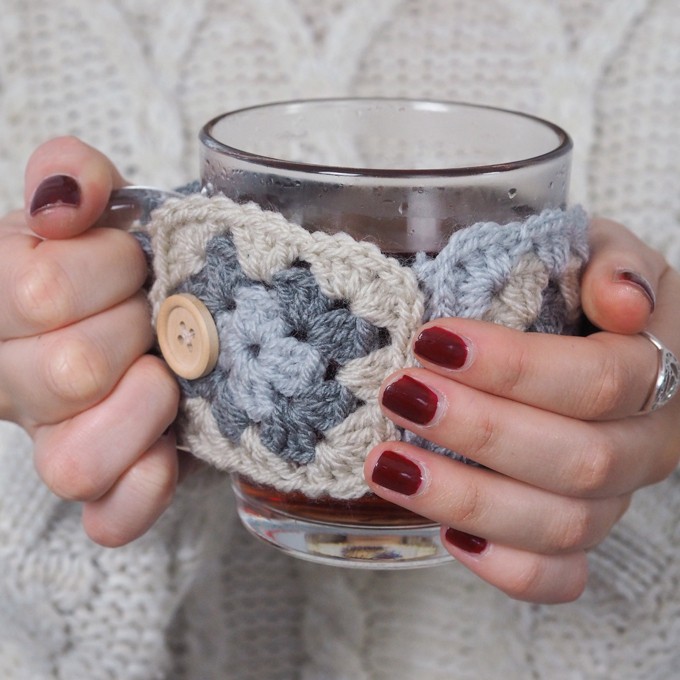 Add a little button to on end of the crocheted mug warmer using a smaller needle and thread. 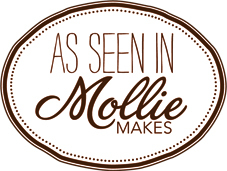 P.S sorry if you’re now as addicted to making granny squares as I am! 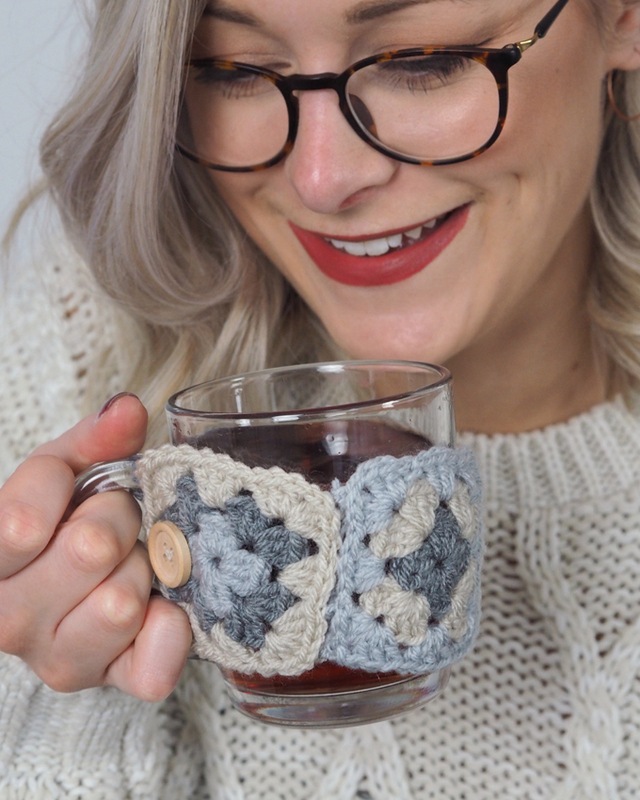 These little crocheted mug warmers make the perfect Christmas gift for you or a friend. Just fill with a generous glug of mulled wine or your favourite brew to keep toasty and warm this winter. I’m not great at knitting but for someone that it, this would be a perfect idea! I love the thought of a mug cosy!